Can CBD Oil Reduce Chronic Pain? Cannabidiol, or CBD, is one of over 60 compounds called cannabinoids. Cannabinoids are found in many plants but are most commonly linked to marijuana. Unlike some cannabinoids such as tetrahydrocannabinol (THC), CBD does not produce a “high” or psychoactive effect. This is because CBD does not affect the same receptors as THC. THC produces a “high” feeling by affecting the brain’s endocannabinoid receptors. This activates the brain’s reward system, producing pleasure chemicals such as dopamine. CBD is an entirely different compound, and its effects are very complex. It is not psychoactive, meaning it does not produce a “high” or change a person’s state of mind. Instead, it influences the body to use its own endocannabinoids more effectively. According to one study posted to Neurotherapeutics, this is because CBD itself does very little to the ECS. Instead, it activates or inhibits other compounds in the endocannabinoid system. An example of this is CBD stops the body from absorbing anandamide, one compound associated with regulating pain. Increased levels of anandamide in the bloodstream may reduce the amount of pain a person is feeling. CBD may also limit inflammation in the brain and nervous system, which may help to reduce pain, insomnia, and certain immune-system responses. CBD oil has been used for thousands of years to treat various types of pain, but only recently have studied been undertaken by the medical community to determine its medical benefits. 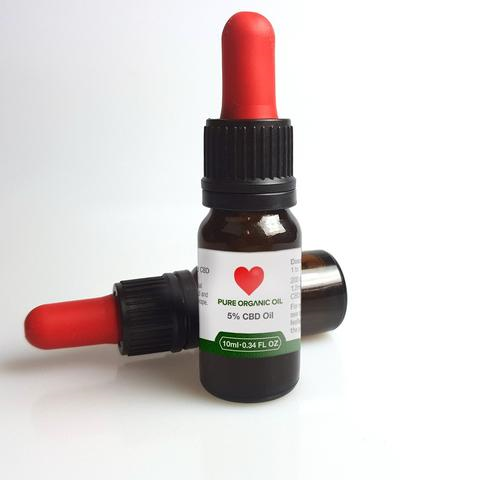 The purest form of CBD oil is usually refined from industrial hemp plants, not only do they contain a higher CBD content than recreational and medical marijuana, but it is almost devoid of THC, allowing users to perform their daily tasks without the euphoric, high sensations often associated with using marijuana products. Many of the compounds found in natural hemp or marijuana can vary in strength. Often CBD levels can vary depending on the plants breeding, environment and overall quality. Most CBD oil comes from industrial hemp, which usually contains a higher CBD content than either recreational or medicinal marijuana. Manufactures of CBD oil use different methods to extract the compound which is then added to a carrier oil and called CBD oil. Available in different strengths, it can be used in various ways such as simple ingestion of the drops, diluting the CBD into a hot drink, or mixed with food and eaten. A study in the European Journal of Pain used an animal model to see if CBD could help reduce the pain and suffering caused by arthritis. Researchers applied a gel containing CBD oil to rats with arthritis for 4 days. Their research noted a significant drop in inflammation and signs of pain, without additional side effects. Many people using CBD oil for arthritis have found relief from their pain, but more human studies need to be conducted to confirm these findings. Multiple sclerosis (MS) is an autoimmune disease that affects the entire body through the nerves and brain. Muscle spasms are one of the most common symptoms of MS. These spasms can be so severe, they can cause some people to be in constant pain. One report found that short-term use of CBD oil could reduce the levels of spasticity and pain a person feels. The results are modest, but many people reported a reduction in MS symptoms, however, more human studies are needed to verify these results. The same report studied CBD for reducing general chronic pain. Researchers compiled the results of multiple systematic reviews covering dozens of trials and studies. Their research concluded that there is substantial evidence that CBD oil is an effective treatment for chronic pain in adults. A separate study in the Journal of Experimental Medicine supports these results. The research suggested that both pain and inflammation could be reduced through the use of CBD oil. The report also concluded that subjects were unlikely to build up a tolerance to CBD oil, so avoiding the need to continually increase their dosage. Researchers concluded that cannabinoids such as CBD could be a helpful new treatment for people with chronic pain.